The recently enacted Fixing America’s Surface Transportation (FAST) Act will provide stability and predictability for state and local governments as they undertake improvements to the nation’s transportation infrastructure, according to WSP | Parsons Brinckerhoff, one of the world's top engineering and professional services consulting firms and a leader in the U.S. transportation industry for more than a century. The FAST Act authorizes $305 billion in funding for federal surface transportation programs for fiscal year (FY) 2016 through FY 2020 with funding for 2016 at $58.2 billion, which is $3.6 billion or 6.6% above 2015 levels. The bill ends a long period of flat federal funding and provides for growth at a rate of 3.2% from 2015 to 2020. 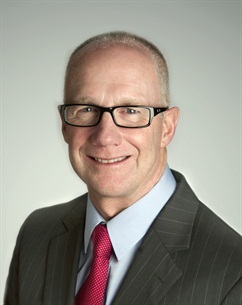 Greg Kelly, president/CEO of the U.S., Central and South America region of WSP | Parsons Brinckerhoff. Ninety-two percent of funding authorized in the FAST Act is “contract authority” and does not require appropriations. The bill does not include any project earmarks but continues and expands the use of competitive grant programs. For the first time, funding for passenger rail ($10.4 billion) is included in the traditionally highway/transit-only bill, including $2.6 billion designated for Amtrak’s Northeast Corridor. The law includes two new freight programs which provide $10.8 billion over five years for highway and multimodal (including port and rail) freight projects. The FAST Act includes several new discretionary grant programs, including a freight grant program, a bus and bus facility grant program and three discretionary programs for intercity passenger rail.